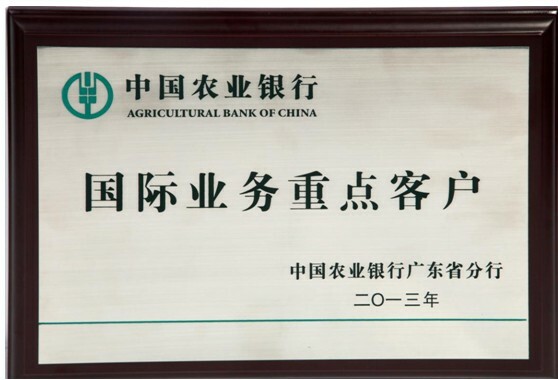 Foryou was awarded the ABC' Key Customer Prize in January, 2014, which has laid a solid foundation for the strategic corporation between Foryou and the Agricultural Bank of China. Becoming a key customer of ABC in Guangdong, it represents the cooperation has lead to a newer stage with broader range, which would benefit the future development and the strategy implementation with the help of ABC's various financial products and its strong branch networks. This award affirmed the mutual trust between Foryou and ABC. And it also shows ABC's endorsement of Foryou's comprehensive strength.